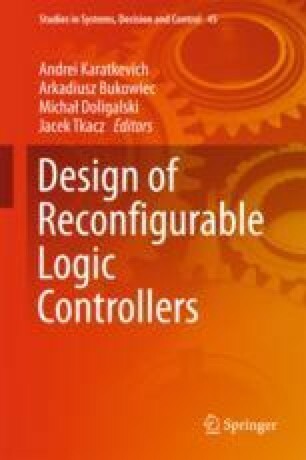 The chapter presents a logic control specification and its implementation by means of a microcontroller. The solution is dedicated to stabilisation of a spray temperature. The aim of the control is to produce a drug spray with specified temperature. The chapter draws a link between the viscosity of liquids and the droplets sizes in pneumatic inhalation process. The results indicate that the droplet size of the spray is influenced by the liquid viscosity. The liquid viscosity can be changed by temperature. Increasing the aerosol temperature decreases droplet diameters and hence increases the safety of inhaled therapy. A control system and new construction of thermostated nebulizer improving the inhalation process has been proposed.